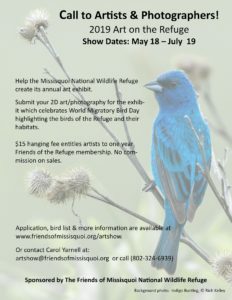 The Missisquoi NWR was established in 1943 specifically to provide habitat for migratory birds. 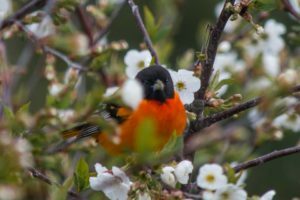 It’s location along Lake Champlain, along with the Maquam Bog has contributed to the Audubon Society’s naming the refuge as an Important Birding Area, as well as being designated a Wetland of International Importance by the Ramsar Convention. More than 200 species of birds have been documented on the Refuge, with thousands of migratory waterfowl stopping each year. The Missisquoi NWR produces a brochure and checklist of commonly found birds, you can download a copy here, or pick one up at the Refuge Headquarters. The refuge is a centerpiece of an active birding community in northwest Vermont. The Friends of Missisquoi are partners with Vermont eBird through the Vermont Center for Ecostudies. 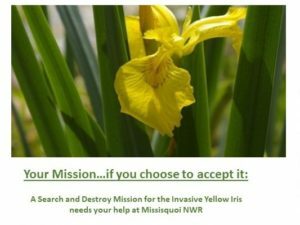 While not affiliated with the Refuge, there is also a privately maintained email list available for anyone interested called Missisquoi Birders, where you will find many of our members.